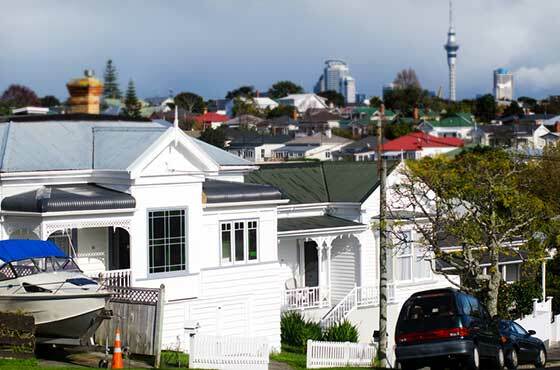 Landlord responsibilities NZ: What are your rights as a tenant? After trapesing around house to house in search of a flat, you finally find the one. It’s got a deck, the flatmates are great, and you’ve got enough storage space for all your prized possessions. Unfortunately, in some situations, there is a pretty big downside, something you might not even get the chance to see at a viewing – your landlord. Canstar is here with some advice on how to deal with landlords from hell. “The landlady would constantly come by unannounced, and would just let herself in with her key, without even knocking. This was irritating, but since we had nothing to hide it was never really an issue. Until the day she brought her husband round to do some maintenance (unasked for). “As all of us living there were girls, we never though [sic] twice about walking from the bathroom to our bedrooms in just a towel, and I ended up being trapped in the bathroom for half an hour (I had no intention of walking past him in a skimpy towel) while this old man fiddled with something right outside the door,” Reddit user Zinzidec says. Just because you don’t own the property you live in, doesn’t mean you forgo any rights to peace and privacy. Your landlord is fully entitled to view their home and to check its being taken care of, but they are also required to give you notice. In other words, they can’t flick you a text and then rock up at your home half an hour later. The legal requirement is a minimum of 48 hours’ notice before they can carry out a house inspection. If they’re doing any repairs or maintenance, they have to give you 24 hours’ notice. If they haven’t given you enough warning, it’s best to try and discuss it with the landlord first. But if that doesn’t work, you can get some assistance from the tenancy tribunal or the Citizens Advice Bureau. It is not unheard of for the landlord to increase the rent, so you should prepare yourself for possible increases in the future. But, in saying that, the landlord is only allowed to increase rent once every 180 days – roughly every six months. In other cases, landlords will decide to have an annual rent review. If they choose this option, they have to include it in the tenancy agreement, along with any details of when the new rate would kick in. The landlord has to provide a written warning of any rent increase 60 days before it sets in. An annual rent review means the new rate takes effect on a set date each year, or from the next rent payment within 28 days following this set date. If you believe you are being overcharged in the rent department, you don’t have to just grin and bear it. You can apply to the tenancy tribunal to have your rent rate reviewed. The tribunal will look at the rent rates of similar properties in similar areas, and compare with what you are currently being charged. If the tribunal finds you are being charged significantly higher than the rents for these similar properties, it has the ability to order your landlord to reduce your rent to the market price. The Tenancy Services website has a guide to show you how much the market value of your property should be. If you’ve lived in a student flat, maybe even been a Scarfie, then you probably weren’t expecting to live in a home filled with first-class amenities. Nonetheless, there are still some basic requirements landlords need to fulfil to ensure you are safe in your rental. And recent regulations in New Zealand means landlords will be held accountable if they don’t. As of July 2016, landlords are required to ensure smoke alarms are installed in rental homes. And the smoke alarms also have to be 10-year, long-life models. Specifically, there should be a smoke alarm installed within three metres of every bedroom, smoke alarms in any self-contained caravans/sleep outs and, in apartments or multi-storey buildings, there must be a smoke alarm on every storey. Landlords have to make sure alarms are working before the start of any new tenancy. However, it’s your responsibility as a tenant to replace the smoke alarm batteries. By July 2019, all landlords will have to install ceiling and underfloor insulation that meets a certain Government standard. Any installation installed after 1 July 2016 has to meet or exceed NZS4246:2006 standard. Any installation installed before 1 July 2016 is required to meet or exceed NZS4246:2006 standard. 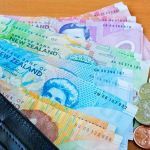 The insulation should have met this standard when it was installed and, if it doesn’t, the landlord will have to replace it to meet or exceed standard NZS4246:2006 standard (this requirement applied to income-related rent properties from 1 July 2016). However, the landlord can delay installing insulation if the building’s physical structures make it difficult to access the right spaces. In this case, they would have to insulate the house when it’s next possible to access the spaces’ when they next renovate the house, for example. If you stained the carpet from an overzealous pour of red wine, then it’s no surprise fixing the damage will be up to you as the tenant. But there are some situations where it’s the landlords’ responsibility – both to ensure damage is fixed and to front up the cash. For example, if a natural disaster, such as a flood or an earthquake, has led to damage to the property. The landlord has to pay for repairs following a burglary, or from any fair wear and tear. The Government’s tenancy services guide provides more information on whose responsibility it is to pay for what in rental properties. -If renting is more of a short-term fix until you can afford your own property, at some point or another your worries will move from unruly landlords to thinking about the house-buying process. Whether you’re attending an auction, or entering the negotiation process, Canstar has some advice on how to get started and what you need to know about house hunting.